It's shaping up to be a competitive Martin Luther King Jr. weekend with three new wide releases hitting theaters along with two major expansions and the moderate expansion of Martin Scorsese's Silence. Yet, even with that being the case, after narrowly edging out Rogue One: A Star Wars Story for the #1 spot last weekend, Hidden Figures is looking at a more decisive victory this weekend as the film adds more than 800 theaters. The new releases include STX's PG-13 horror The Bye Bye Man, Paramount is finally delivering Monster Trucks and Open Road will premiere the Jamie Foxx starrer Sleepless into just over 1,800 theaters. In addition to new releases Lionsgate and CBS Films brings Patriots Day to audiences nationwide and Warner Bros. will do the same for Ben Affleck's Live by Night, but while the former is looking at a solid debut the latter has struggled in limited release. There's also the case of a little film called La La Land, which went home with a record number of Golden Globe wins on Sunday and is now adding a few more theaters including 148 IMAX screens. Let's break it down. as it launched nationwide last weekend. This weekend it will be playing in 3,286 theaters (+815) with no reason to slow down and perhaps even improve. Fandango tells us the film was leading Thursday morning sales after leading sales on Tuesday and narrowly being edged out by sales leader La La Land on Monday and Wednesday, but we'll get to La La in a second. 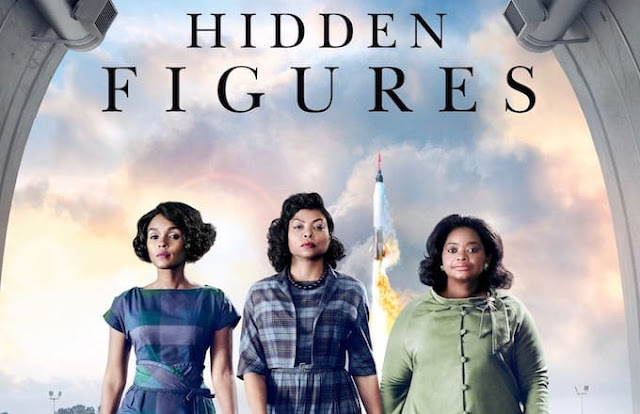 As for a Hidden Figures forecast, a second weekend at #1 seems a very strong possibility, bringing in around $22 million over the three-day and heading north of $25 million for the four-day holiday weekend.